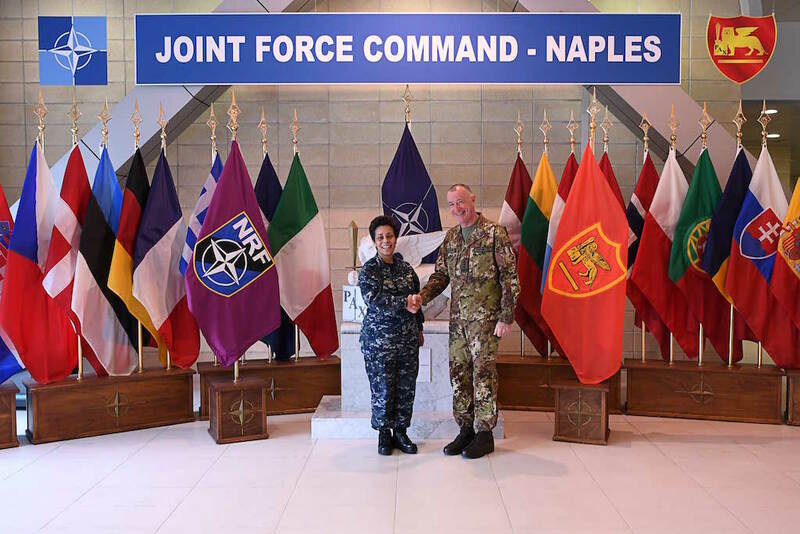 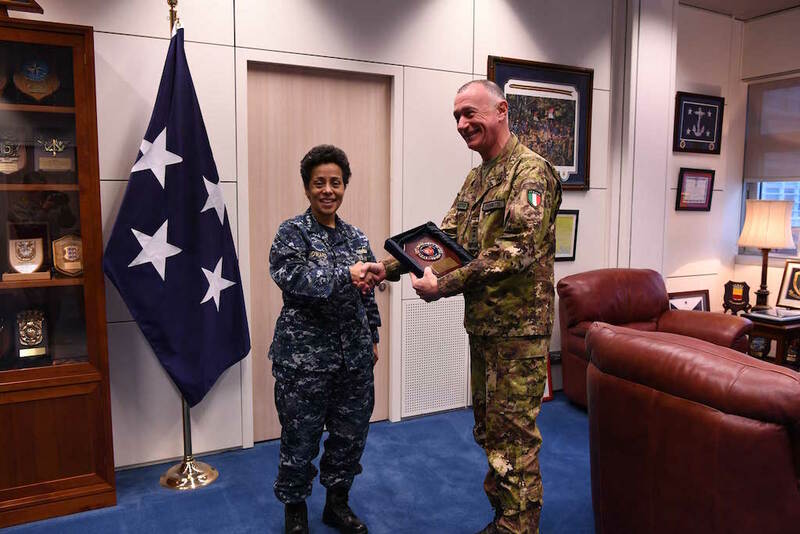 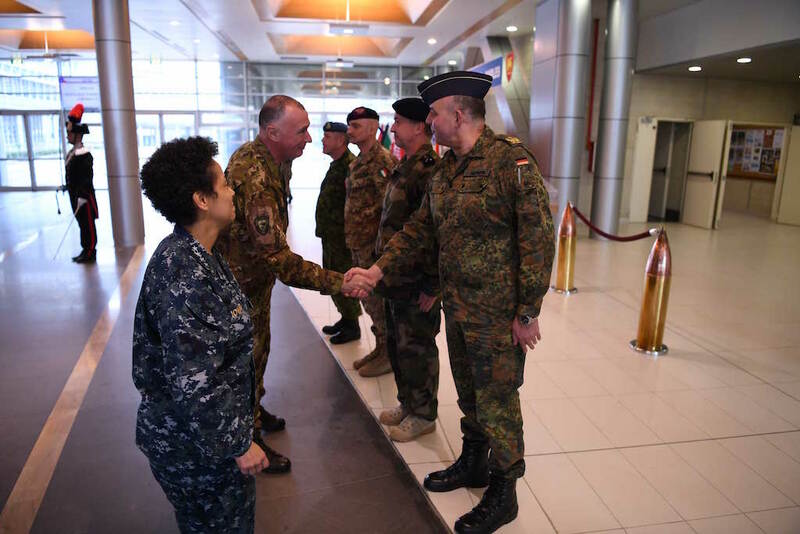 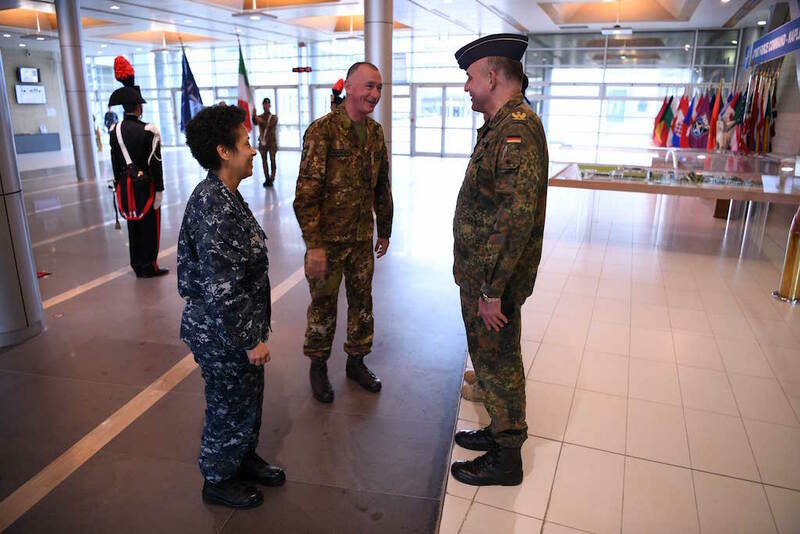 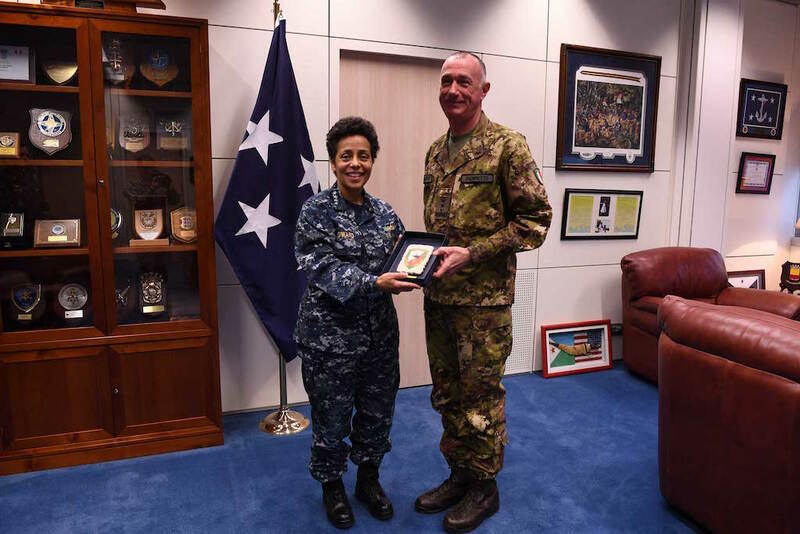 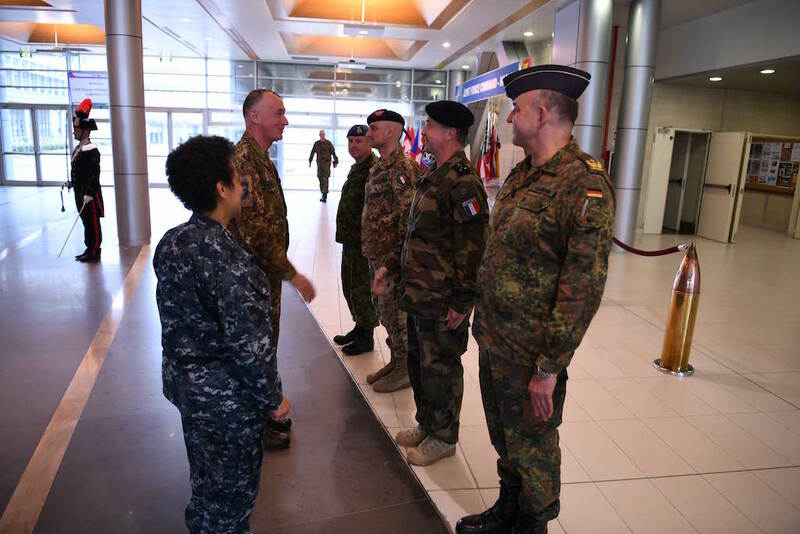 On 7th March, Lieutenant General Roberto PERRETTI, NRDC-Italy Commander has been received by Admiral Michelle HOWARD, Allied Joint Force Command - Naples (JFC-NP) Commander. 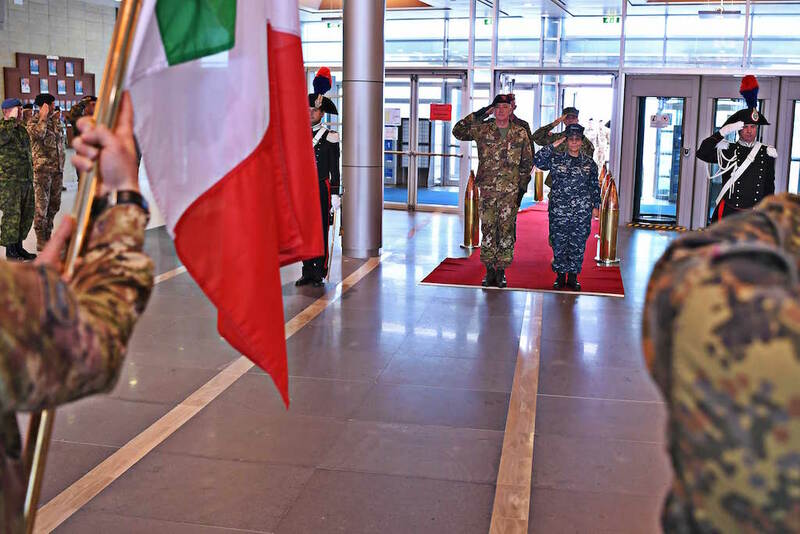 Recently identified - during the NATO Defence Ministers meeting (15th and 16th February 2017) - JFC Naples will be the base of the “Hub for the South”, a centre to be established as one part of the Alliance’s response to threats stemming from the Middle East and North Africa. 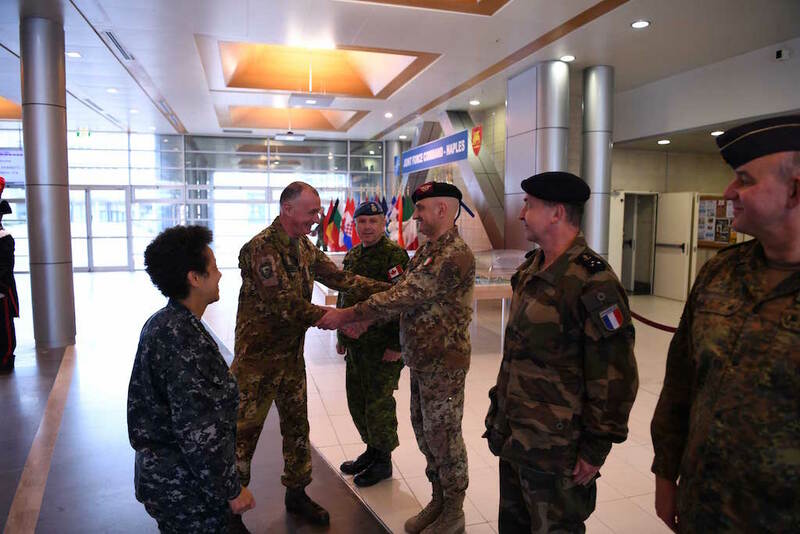 During the visit, General PERRETTI, remarked the will to maintain high the readiness of the NRDC-Italy HQ as well as its capability to operate in the full spectrum of NATO missions, as Corps, as Land Component Command (LCC) or Joint Task Force (JTF) HQ with peculiar competence in the field of “Security Force Assistance” (SFA) e “Stability Policing” (SP).